Keizersgracht is the name of one of the main canals in the capital of The Netherlands and in my opinion, is one of the most picturesque places to view. 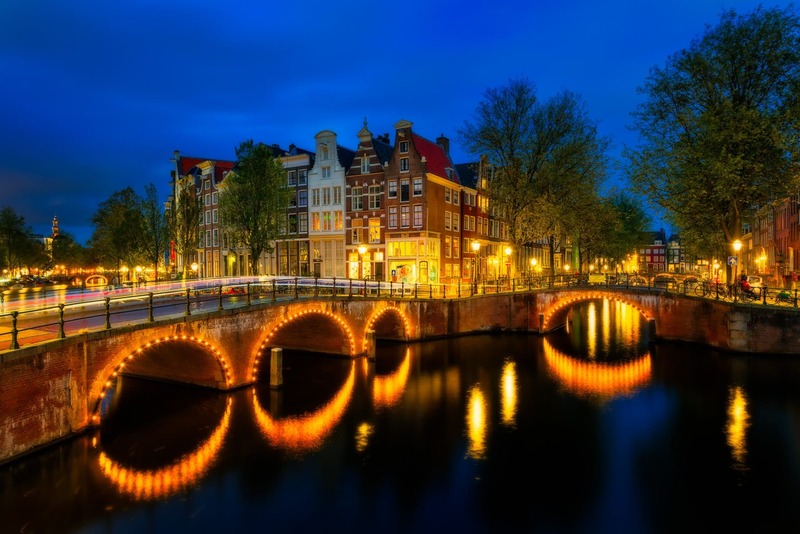 The picturesque effect is likely due it being the widest canal, which is in the middle of three main canals crossing Amsterdam centre. Wandering around and observing the lights of the bridge turned on during the blue hour is amazing. 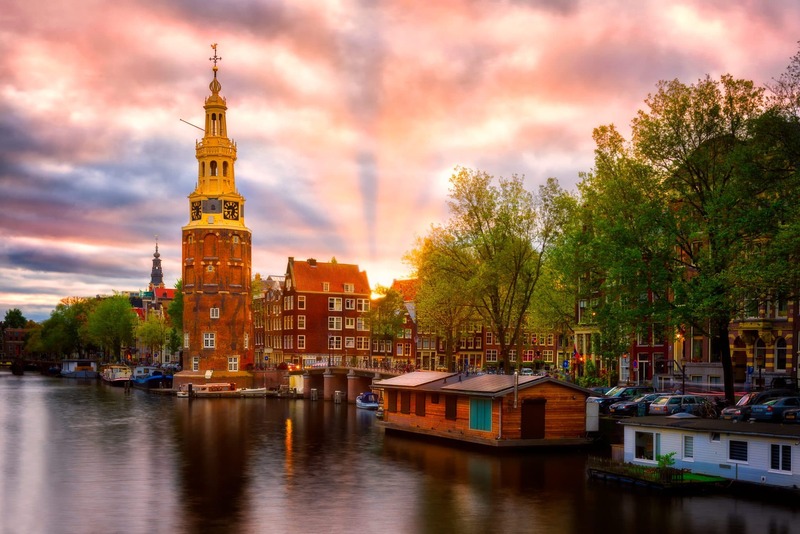 Montelbaanstoren is a tower in Amsterdam that sits alongside a canal named Oudeschans. This tower is over 500 years old and was built in 1516 as a part of the city walls and was originally a Watchtower; although this function was only given for 90 years. Montelbaanstoren is also famous, with due credit to a particular painter that you might be familiar with – Rembrandt. He used to reside in an area near the tower and was supposedly very keen on painting this structure. 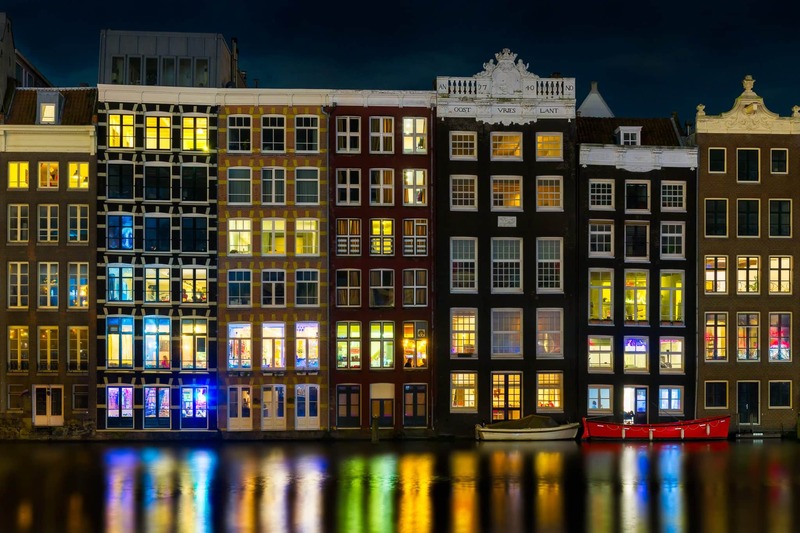 After the second world war, there was a shortage of housing in Amsterdam. People then moved to live in boats on the water. Back then, they were not so comfortable compared with our day now, but at least they were cheap. 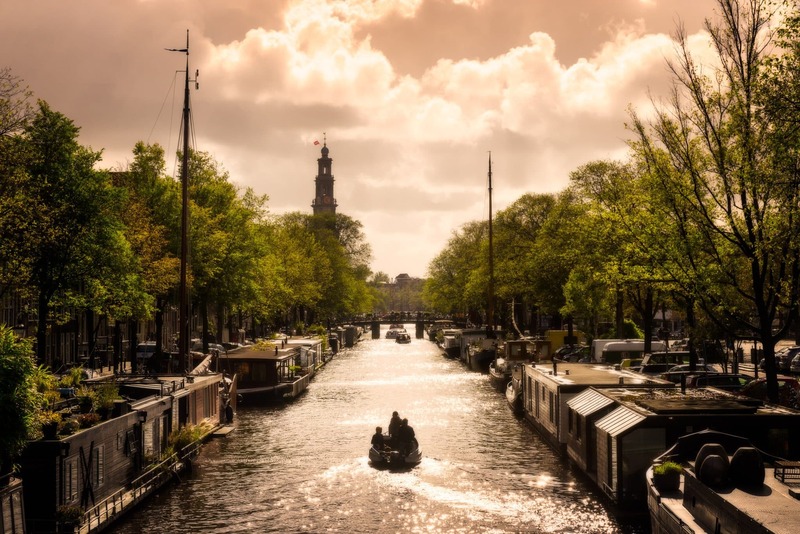 With decades passing, houseboats have become more popular as an essential part of Amsterdam’s landscape, eventually becoming a main tourist attraction. Papiermolensluis is a stone bridge over one of the canals. 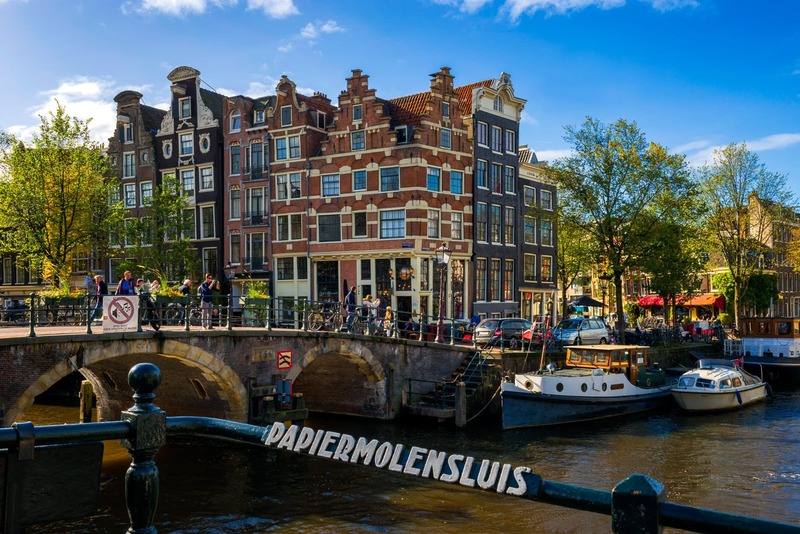 It is probably one of the most photographed landmarks, due to the composition of the houses as you can see in the background and the canal in the foreground are perfectly depicting the “atmosphere” and the architecture of Amsterdam. Back in time, on the corner house of Brouwergracht, was a hanging sign “De Papiermolen” – paper handler. The bridge was called Papiermolensluis because you can see this sign of the shop from the bridge. There are exactly 165 canals, so the decision as to which one to capture was not so easy. The composition though was always accomplished by the presence of several boats. The boats pictured above were rather small, in comparison to the 2,500 other house boats which were all around Amsterdam.